Harry Wheeler, the sheriff of Cochise County, and Rye Miles, the sheriff of Pima County, took charge of the posses on the ground (as well as an airplane) that helped serve the warrant on the Power boys. 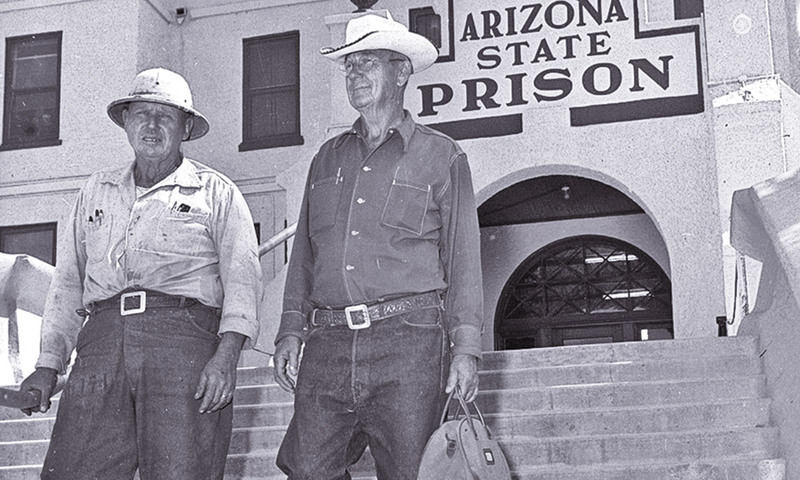 Both lawmen were considered “expert manhunters” because they had been Arizona Rangers. The posse members are wearing white cloths around their hatbands so they wouldn’t get mistaken as the culprits in a running gunfight. Jeff Power, like his ancestors, had clawed out a living in unforgiving terrain, continually forced to defend what little he had from predators, both human and non-human. He inherited his distaste for war from his family’s experiences during the Civil War, while his years of combating aggression in Texas and New Mexico Territory instilled in him a populist bent, sentiments he would pass on to his three sons. Life in Rattlesnake Canyon brought him a reprieve from the clamor of the outside world, until the draft of WWI threatened his ability to develop his gold mine, leaving him with the prospect of losing everything he had: his sons and his ability to earn a living. 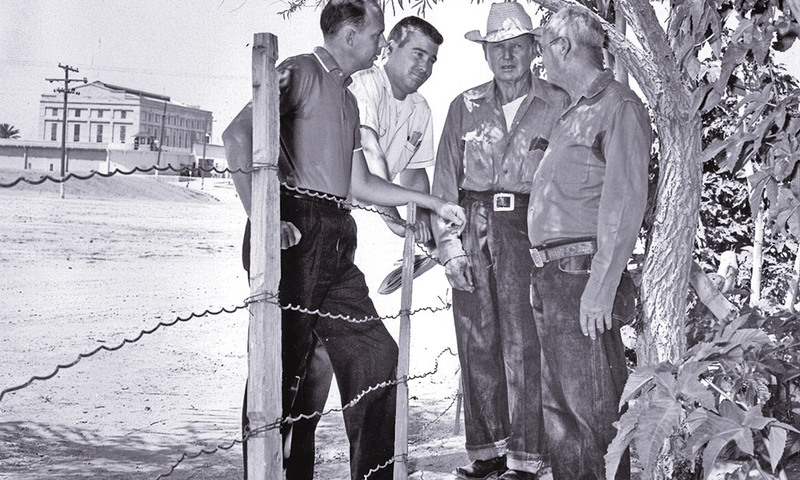 The Arizona Republic columnist Don Dedera (second from left) talks with John and Tom Power (third and fourth) on parole day, a day they might never have seen without his investigative reporting. 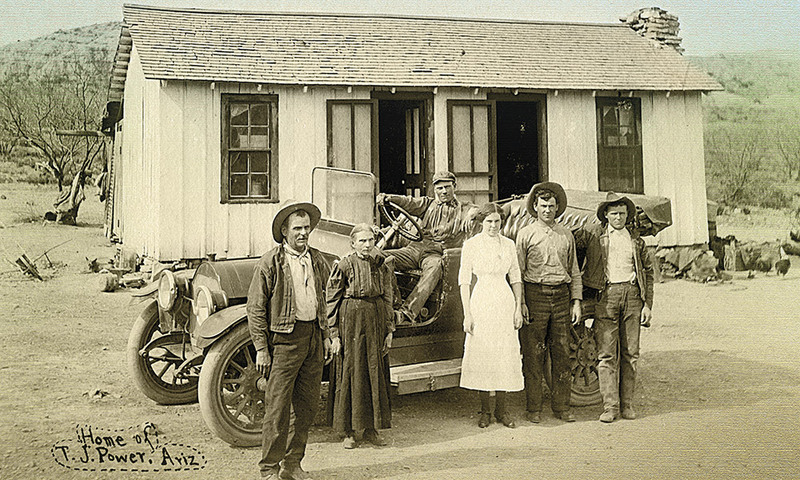 He was wary of government and eschewed society, an outcast even among the numerous outcasts living in the canyon, but the Great War required the assistance of every able-bodied person and would not allow his family to remain in isolation. The Power shoot-out should have been forgotten long ago, an obscure side story to WWI history. Instead, the story was kept alive precisely because enough people believed the outcome was unjust. In the end, only the death of Tom Sisson and the advanced ages of the Power brothers brought the story to light outside of Graham County and the state prison system. Even then, the path to John and Tom Power’s release was paved with distortions that transformed a straightforward case of draft evasion into a tale of feud and conspiracies. Graham County Sheriff Frank McBride, shown in 1916, was a devout Mormon who believed every American should do their part in WWI. Serving the warrant for draft evasion to the Power boys cost him his life. In the fall of 1958, Don Dedera, who wrote the most popular editorial column for The Arizona Republic, the state’s largest circulation newspaper, was at the state prison to write about one of the inmates. Warden Frank Eyman suggested Dedera also talk to the Power boys to hear their interesting story. As a former Marine and police beat reporter, Dedera was guarded with convicted felons, who he knew often claimed to be wrongfully incarcerated. Dedera had tremendous respect for Eyman, so he listened patiently to John and Tom Power as they told their “well-rehearsed” story of injustice at the hands of Graham County officers. John, “slumped over like a turtle,” barely said a word the entire interview, but Tom was well-spoken and impressed the reporter with his knowledge of the law. Their first meeting struck the columnist. The brothers had spent four decades in prison, yet, in all that time, had been granted only one formal parole hearing. Leadership in the prison considered the brothers exemplary prisoners; the same held true for Sisson, who had died the previous year, yet was never considered fit for release. Dedera wondered why John and Tom were still incarcerated when so many others who committed similar crimes had been paroled. He decided to investigate. Dedera soon discovered the Power brothers were their own worst enemies. They unrealistically demanded complete exoneration because they refused to shoulder any blame for the shoot-out. Had they been less stubborn, “they would not now be in prison,” said attorneys whom they had fired over the years. The brothers gave Dedera a paper bag filled with $100 bills, explaining to him that each time they hired an attorney, they had to pay him a retainer. Dedera laughed and told them to keep their money. He did not intend to retry the case in court, but rather hoped to present both sides of the story in his newspaper columns, allowing society the opportunity to weigh in. 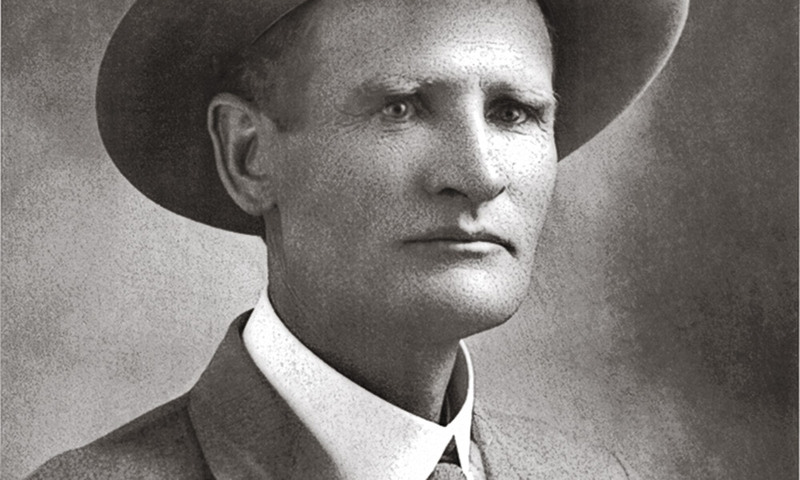 Special Deputy Thomas Kane Wootan, photographed circa 1908, was a champion rodeo rider. His death, along with the two other lawmen and Jeff Power, made the shoot-out Arizona’s deadliest—even surpassing the famous O.K. Corral gunfight in Tombstone. His sons were not to blame for their predicament, the columnist argued; they were victims of circumstance. This view of the Power cabin, the site of the gunfight, shows the east-facing door and window, the shed and windbreak on the north side, and the trail behind the cabin used by the lawmen. Harry Dubois took this photograph in 1918 for Graham County Attorney William Chambers. A primary source of the feud narrative was Lee Solomon. 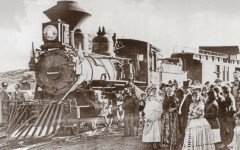 Everyone acknowledged that the Power family was not welcomed in Aravaipa; residents were suspicious of outsiders who threatened already scarce resources. Kane became the designated ringleader, allegedly exchanging harsh words with Jeff and chasing off his cattle. Although the Solomons were related by blood and marriage to the Wootans, the family was apparently closer to the Powers than the Wootans. 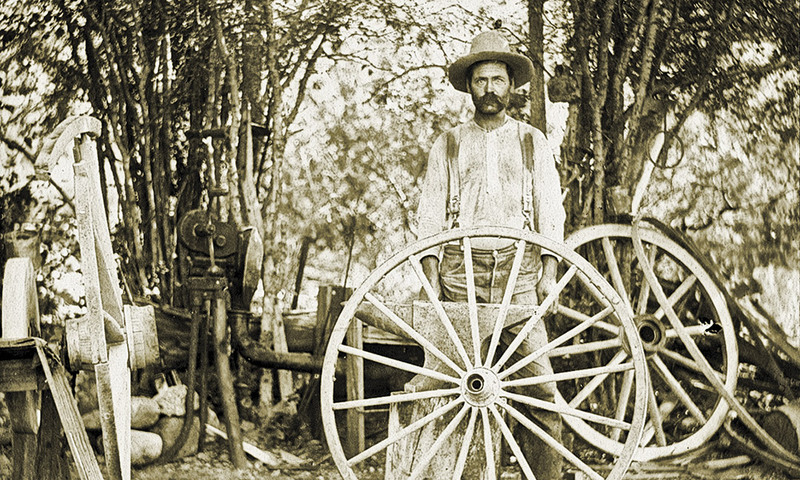 When Sam and Jane Power lived in Gillespie County, Texas, from the 1860s to 1890, Lee Solomon’s parents, David Lee and Jane “Dee” Wootan Solomon, were their friends. 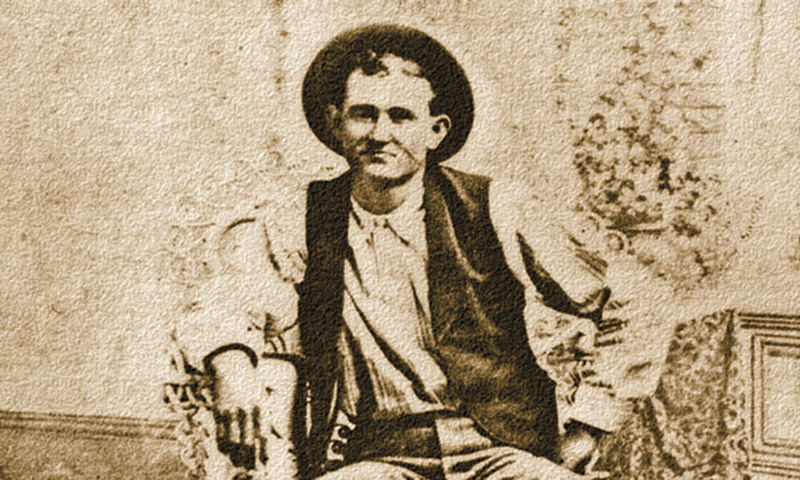 After both families moved to Arizona, Lee Solomon punched cattle with Charley, John and Tom Power, as well as relative Kane Wootan, in Aravaipa. 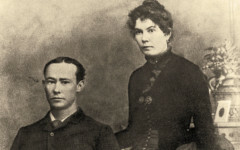 Lee’s sister Delila married Kane’s father, Black Bill, in 1909 after his divorce from his first wife, Sarah, so she was Kane’s stepmother at the time of the shoot-out. Years later, her marriage also ended in divorce, adding to the existing acrimony between the Solomons and the Wootans. Deputy Martin Kempton sits next to his bride, Sena, in what is probably their wedding portrait, taken in 1902. After his death in the Power shoot-out, Sena, along with the other widows, launched civil litigation against the Power brothers and won ownership of their mines. Tom and John Power believed the scourge had been Graham County Sheriff Frank McBride, who wanted their gold mine, tapping into long-held prejudices that Mormons stole and murdered, and then conspired to cover up their crimes. But their accusations that the sheriff was willing to kill for their mine fell on deaf ears. After conferring with visitors to the prison during the 1950s, supporters who knew the brothers would have to find someone else to blame in order to win over public opinion, Tom and John began to entertain the possibility that the Wootan feud had precipitated the shoot-out. Yet public records do not support a feud. Neither side had filed civil suits or injunctions over water or land rights in Graham County. Neither Kane nor any other Wootan owned property near the Power Mine, Gold Mountain or Power Garden Place, and Kane had moved to Safford a year prior to the shoot-out, far from Rattlesnake Canyon. The most convincing evidence that the feud was not real can be found in the Bureau of Investigation reports and U.S. marshal records for the Power case. Correspondence between Sheriff McBride and federal officials, from June 1917 to January 1918, confirmed Kane Wootan played no role in orchestrating the arrest of the Power brothers. Rather, Sheriff McBride was the one determined to bring to justice every slacker in his jurisdiction. After more than 40 years behind bars, John and Tom Power leave Arizona State Prison in Florence, in April 1960, after the parole board voted to release them. Yet the Wootan feud narrative captured the public’s imagination. The men whom the press had once portrayed as the “monsters of 1918” were suddenly transformed by Dedera into “kindly old men” who had paid sufficiently for whatever role they played in the shoot-out. Attorney General Wade Church agreed to investigate the case. He made the startling discovery that someone pretending to be employed by his office had tried to defraud the Power brothers. A “Mr. Smith” told the brothers to pay $1,000 for the attorney general’s office to reopen their case. Staffers tracked down the culprit and forced him to return the brothers’ payment, but the incident piqued Church’s interest. Church was a Harvard Law School graduate and a Democrat who had clerked for U.S. Supreme Court Justice Felix Frankfurter, who, before becoming a justice on the highest court, had investigated the Bisbee Deportation in Arizona. Church undoubtedly recalled the state’s explosive conditions during WWI, allowing him to understand how a miscarriage of justice might have been carried out in the Power case. The attorney general told Dedera he was sympathetic to freeing the Powers. 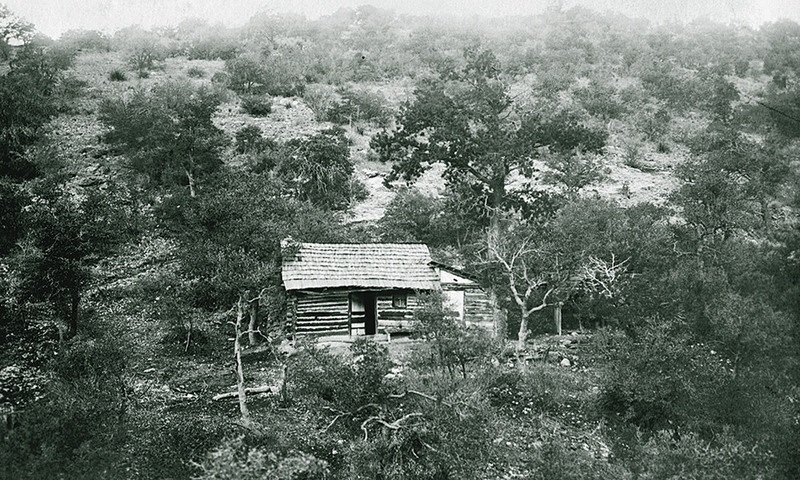 Shortly after the Power family moved to Arizona Territory in 1909, Charley Power purchased a mining claim and goat ranch from Pete Spence in lower Rattlesnake Canyon, south of Klondyke, a town founded in 1900 by former Klondike Gold Rush miners, west of Safford in the Gila Valley. On the family’s land, which they called Power Garden Place, they raised crops and ran cattle. Showing everyone—(from left: Father Jeff, Granny Jane and children Charley, seated in Ford Model T car, Ola, Tom and John—this photo was fortunately taken in Klondyke in 1914, a year before the grandmother was killed by a runaway horse in a buggy accident. Based on the stories he had heard about “clannish” Mormons in Gila Valley who colluded to hide any evidence that would convict one of their own, Dedera hinted of a Mormon conspiracy. Sensing the brothers might be released, McBride and Kempton’s children expressed fears that Tom and John Power might harm them or their elderly mothers. They asked the governor’s assurance that, if the brothers’ sentences were commuted, Tom and John would remain on parole, so their every move would be monitored. Thomas Joseph Sisson (shown) was a 1st Cavalry private transferred to Fort Grant in December 1892. His E Company patrolled for Apache escapees from San Carlos Reservation until October 1895, when the U.S. Army transferred 1st Cavalry to Fort Sill in Oklahoma Territory. Sisson was among the soldiers who mustered out and stayed in Arizona Territory. He settled in Willcox and then Klondyke, where he worked as a blacksmith and befriended the Power family, helping out with chores, particularly when brother Charley moved to New Mexico in 1915. The next day, Republican Gov. Paul Fannin signed the papers for their release. A few days later, John and Tom walked out of the gates of Arizona State Prison and greeted their liberator, Dedera. Dedera was no real cowboy, but he had ridden to their rescue nonetheless. 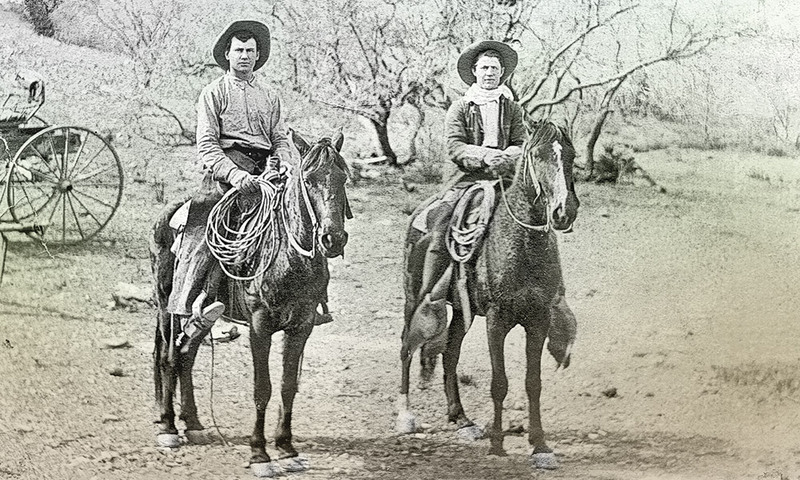 Tom Power (above left) and his cousin George Morgan (above right), the son of Wiley and Amanda Morgan, often herded cattle together. 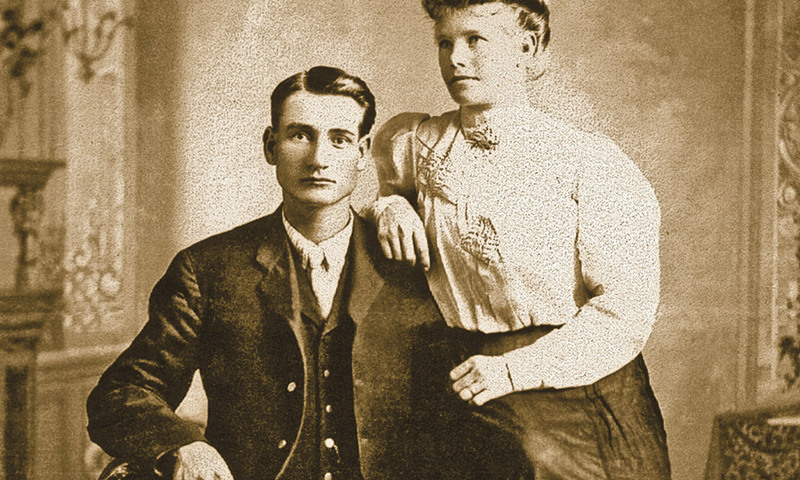 Wiley was the older brother of Tom’s mother, Mattie, who his father, Jeff, had married in the Hill Country of Texas on August 11, 1887. Mustered out of prison on April 27, 1960, John and Tom had savings from the sale of items they made in prison—about $3,000—and the roughly $10,000 military pension Tom Sisson had bequeathed John, but additional income would be hard to find. The terms of their commutation prohibited them from receiving pay for participating in television, magazine or newspaper interviews or for publishing their story. They found work as seasonal cowpokes. In 1963, the brothers won a partial victory from their parole restrictions, allowing them to return to Klondyke to reopen the mine. 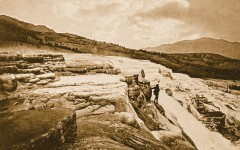 During the 1950s, the lawmen’s widows and partners had abandoned the Power mine in Kielberg Canyon. Brother Charley Power took back some claims, which he now deeded to John. However, Tom and John had neither the physical strength nor the financial resources to reopen the claims. Even if they had, the mine probably would not have produced for them. 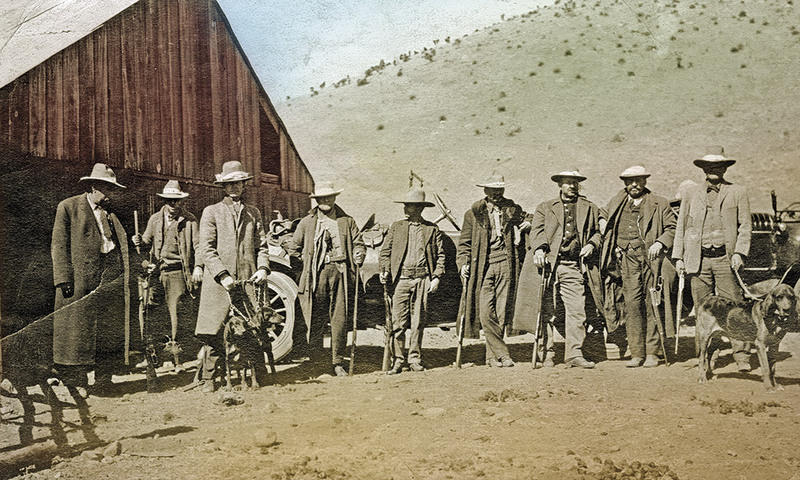 Between 1915 and 1922, only 53 ounces of gold were found in the Rattlesnake Mining District. Still unsatisfied with the conditions of their release, they continued to petition for a full pardon. During the Powers’ years in prison, as the country fought two world wars and the Cold War, folks had little sympathy for the aging slackers, but Vietnam changed all that. Letters supporting a pardon arrived until January 1969, when the parole board agreed to hear the plea. Now pardoned, the brothers could profit from their story. Tom allowed John Whitlatch to write down Tom and John’s story in Shoot-Out at Dawn. The book made many outlandish claims and demonized anyone who ever had a hand in the Power brothers’ arrest or conviction, perpetuating the far-fetched notion that greedy lawmen had plotted to kill the Power family for their mine and ignoring the fact that the brothers had evaded the draft. Despite the book’s failings, it remains the popular version of the shoot-out because it captures the sense of injustice the brothers felt about their conviction and lengthy incarceration. Who shot first on February 10, 1918? The only men who were in a position to know—Jeff Power, Frank McBride, Martin Kempton and Kane Wootan—all died that day. This is an edited excerpt from Arizona’s Deadliest Gunfight, by Heidi J. Osselaer, published by University of Oklahoma Press, May 2018. All images and maps appeared in the book, with the exception of the photos provided by Kevin Mulkins, Bob Boze Bell Arizona Daily Star and The Arizona Republic.